Super Savings! 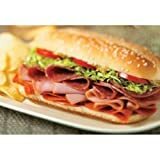 Up to 35% off on Pepperoni at Smokey Robinson Foods. Top brands include Hormel, Tyson, Mama Isabella, Sugardale, Apikoglu, Ohanyan, Gallo Salame, Yörük, Stefano Foods, & ConAgra. Hurry! Limited time offers. Offers valid only while supplies last. 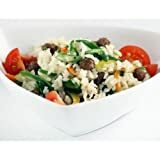 Tyson Old World Specialities Cooked Large Sausage Pizza Topping, 5 Pound - 2 per case. Mama Isabella's Sliced Pepperoni 5 Lb. 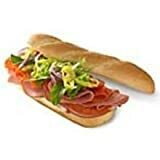 Sugardale Sliced Beef Pepperoni 5 Lb. Tyson Bonici Original Sour Pepperoni Pizza Topping, 10 Pound - 1 each. Tyson Diced Pepperoni Pizza Topping, 10 Pound - 1 each. 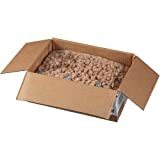 Tyson Bonici Orange Pepperoni Colour Stable Pizza Topping, 5 Pound - 2 per case. 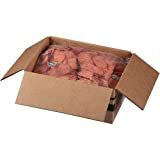 Tyson Bonici Original Style Pepperoni, 5 Pound - 2 per case. Sugardale Sliced Pepperoni 5 Lb. 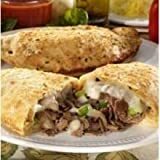 Stefano New York Style Pepperoni Calzone, 8 Ounce - 12 per case. 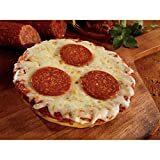 Conagra The Max Pepperoni Pizza - 5 inch Round, 5.49 Ounce each -- 60 per case. 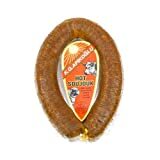 View more products in Sausages.